#14 CO-NM-OK: The 1900 Preston Monument at the tri-point. 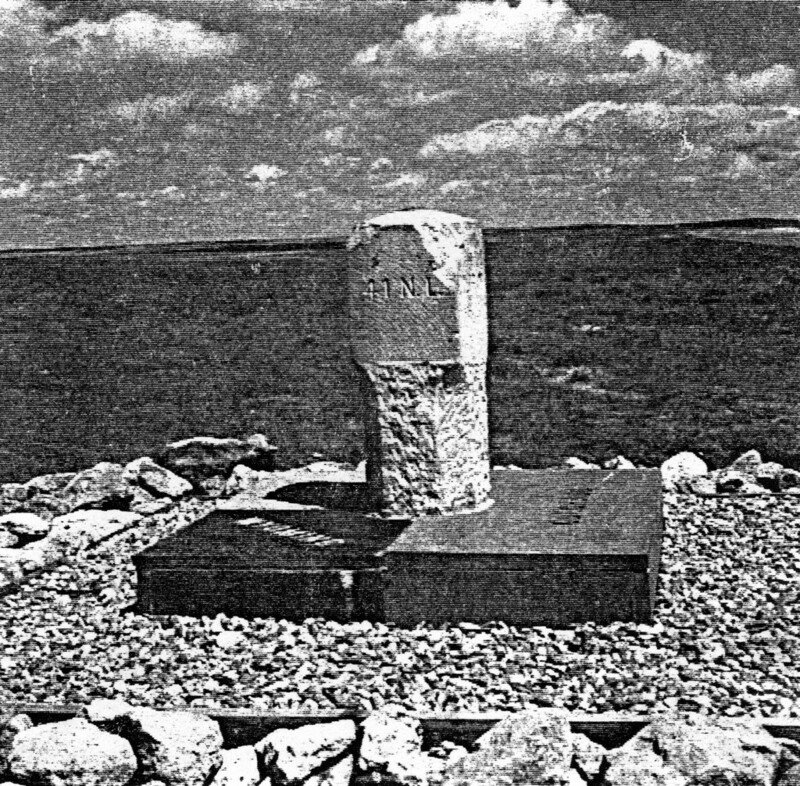 #12 CO-NE-WY: 1869 stone monument now protected by a three-colored stone base. COLORADO – right – red slate. NEBRASKA – upper left – white sandstone. WYOMING – lower left – black slate.